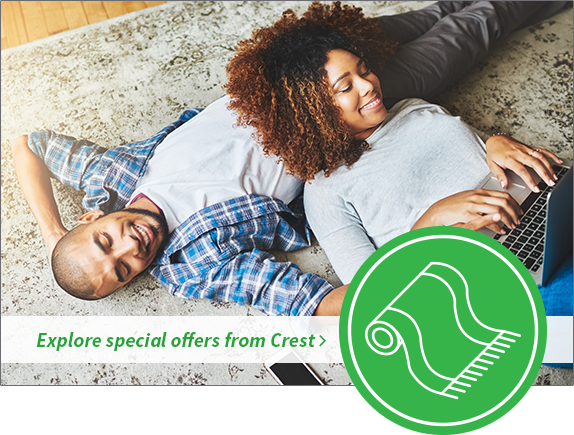 Crest is your go-to resource for cleaning and restoring your much-used rugs. We go beyond the superficial clean of a rented steamer, to penetrate deep and remove the toughest stains and discoloration. Even with such advanced cleaning technologies, our methods are gentle enough to refresh the most delicate textiles and oriental rugs. Our rug-cleaning and stain-removing specialists restore your floor coverings to their original color, texture, and clean feeling. Forget the hassle of bringing your rug into one of our locations – we’ll come to you! With Crest Concierge Home Delivery, we’ll pick up your rug from your front door and return it to your house when it’s back to clean. How easy is that!